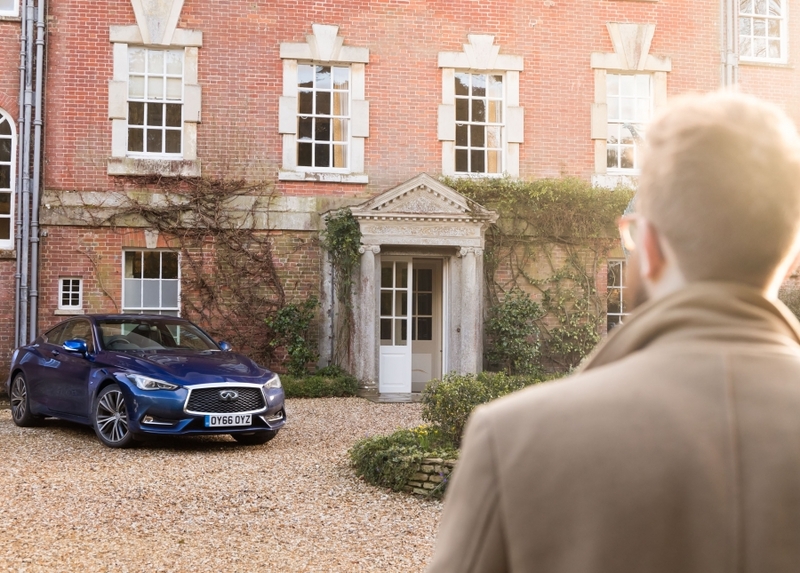 Suitably fed and watered (for now) by our morning’s escapades, it was time to get back behind the wheel of the Infiniti Q60 and begin exploring some of southwest England’s lesser known roads. Having bundled our informal ‘Supper Club’ (consisting of Flat-Out co-founder, Leon; ace snapper, Jonny Fleetwood and myself) back into the Tardis-like coupe’s confines, we decided against priming the sat-nav with our dinner stop. After the exodus of graphite clouds, the morning’s skies were now a more appealing hue and, with at least three hours to kill before we were due at our final stopover of the day, we could afford a more leisurely pace to our proceedings. What’s more, two-thirds of our present company classed these rural environs as old stomping grounds so, still at rest outside The Beckford Arms (the last remnants of our posh pub lunch beginning to settle), we formulated our plan. 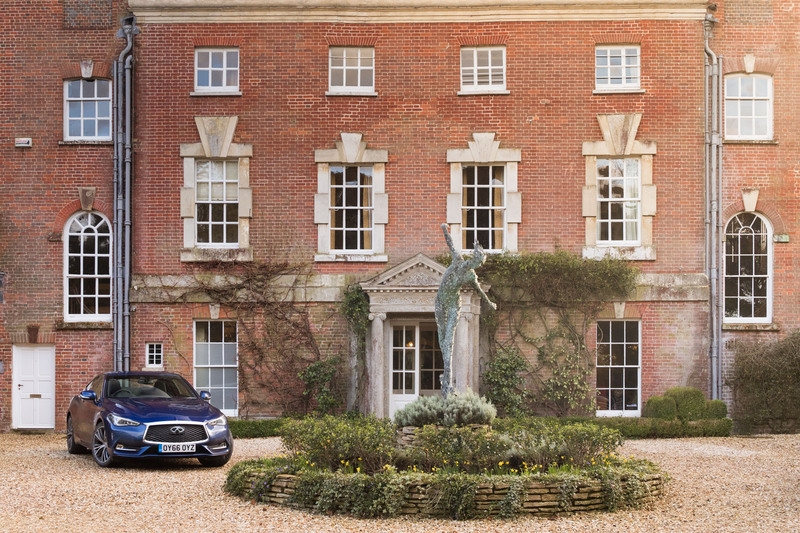 Unburdened by the need for the Infiniti infotainment system’s navigational spectre, we would meander our way cross-country, savouring the journey on some lesser known Wiltshire blacktop (and building a renewed appetite in the process). Rural England doesn’t provide the kindest surfaces on which to test the latest automotive offerings. In a way that makes it the perfect proving ground. If a car can ferry its passengers from A to B with relative composure here, it can do it pretty much anywhere. The hedge-lined lanes and hilltop B-roads that bisect the Wiltshire/Dorset border are littered with potholes, adverse cambers and generally decrepit surfaces that can throw a curve ball to even the most impressive suspension systems. Rolling on 19-inch diamond-cut alloys (with appropriately skinny sidewall-ed tyres), the Q60 should be bucking and jarring. But it isn’t. Instead, there’s genuine grace to the way it is whisking us down the road. 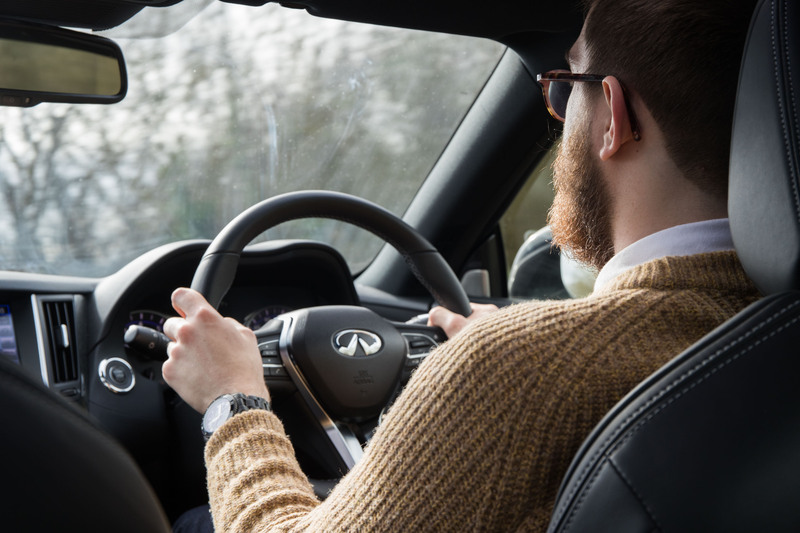 With bellies still bulging from our midday dining session, comfort is indeed a welcome trait to find in the Infiniti. However, despite our carbohydrate overload, the roads ahead aren’t about to let us get too soporific. In fact, the first challenge of our afternoon route is upon us: Zig Zag Hill. The name says it all really. 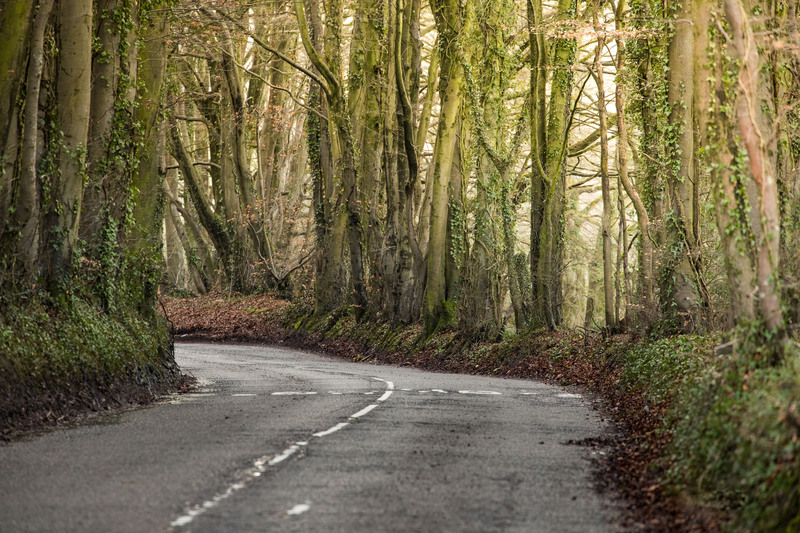 Often regarded as the twistiest stretch of tarmac in the UK, this wooded ascent is like an Alpine-driving espresso, hitting you with eight corners (of which five are hairpins) in less than half a mile. 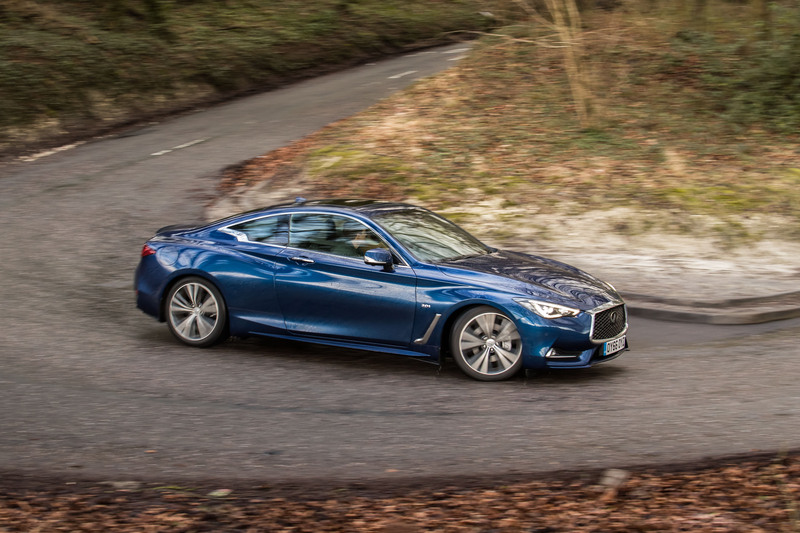 With its soft damping, the Infiniti Q60 proves relatively adept at tackling the switchbacks. In fact, through the slow stuff, it’s pretty pliable, allowing you to throw it around a little bit and unearth a slightly more dynamic character. 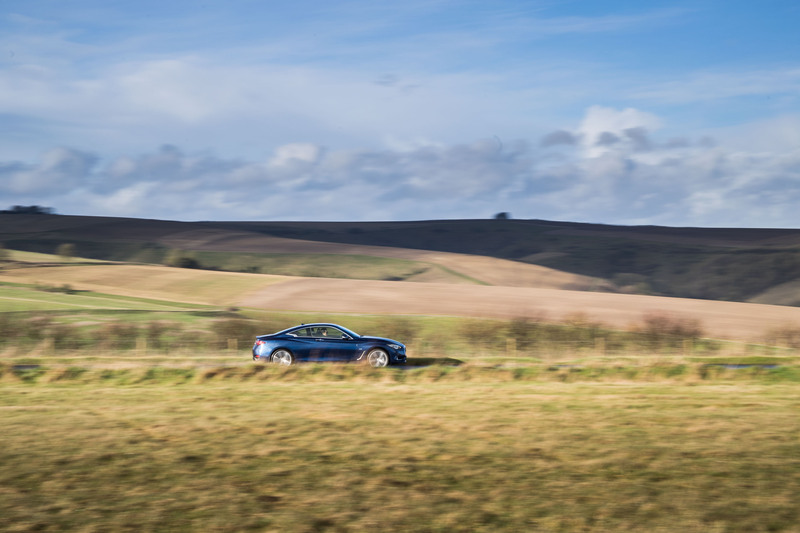 If the climb up to the top of the Charlton Down valley confirms anything it’s that the relatively portly Q60 (1,756kg all in, without two well-fed journalists and bags of camera gear) definitely needs the larger 3.0-litre V6 if it’s to live up to the pretensions of the coupé styling. The 2.0-litre lump, while impressively linear in its delivery, doesn’t pack much of a punch. Not that it matters much once we reach the top of the valley. 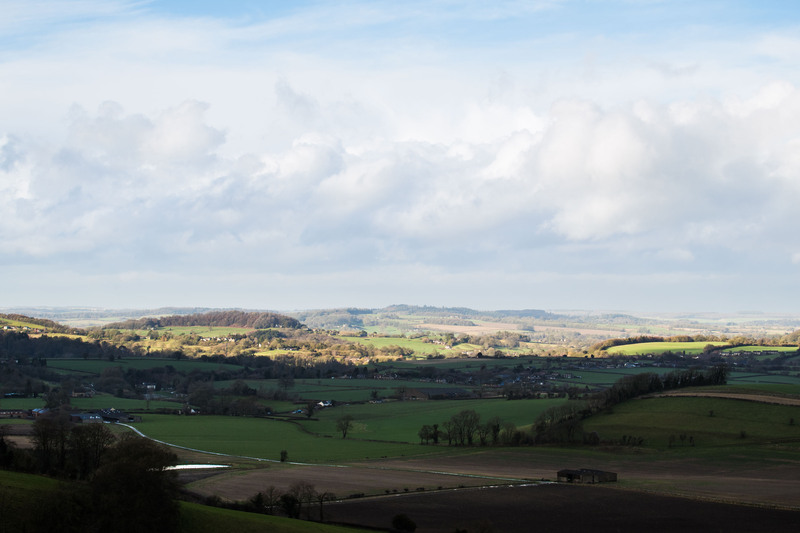 As with much of southwest England, we’re treated to a spectacular vista across the rolling Dorset and Wiltshire hills. Now unstressed by the rigours of the incline, the turbocharged motor quietens to a mere whisper. In reverence to the scenery we find ourselves inadvertently hushing the conversation too. 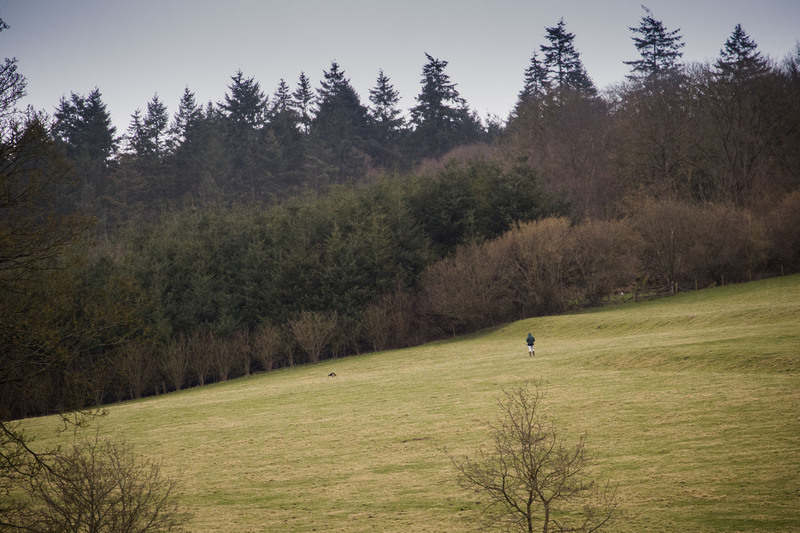 Often spoiled by trips to the likes of California or Korea, it can be easy to forget how impressive the countryside on our own doorstep can be. The B3081 may not have the same ring to it as ‘Pacific Coast Highway’ but, in its own provincial way, the sights can be just as awe-inspiring. Sweeping panoramas across Cranborne Chase alternate out the side windows with chocolate box villages – complete with myriad thatched cottages – such as Tollard Royal and the pleasingly British, Sixpenny Handley. Winding back downhill through some faster sweepers, the Q60 now feels slightly less sure of itself dynamically. 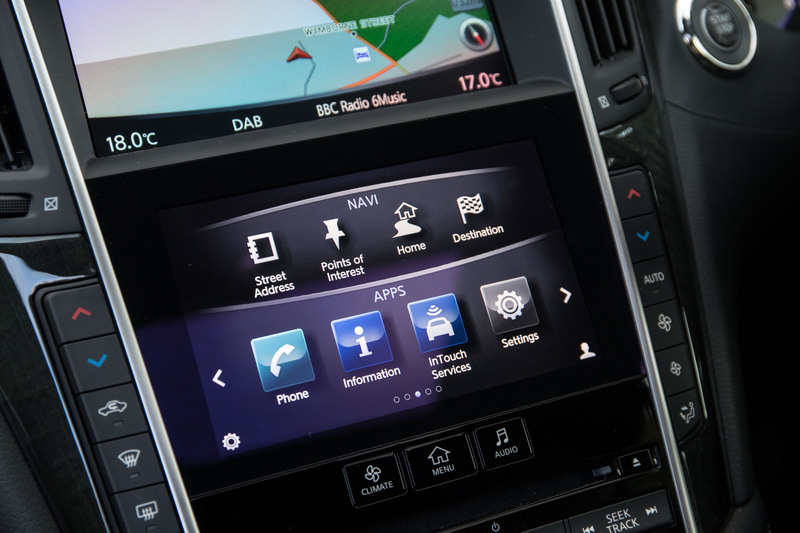 The electrically-assisted steering switches its weighting and feel from excellent to absent and back again with no real pattern. 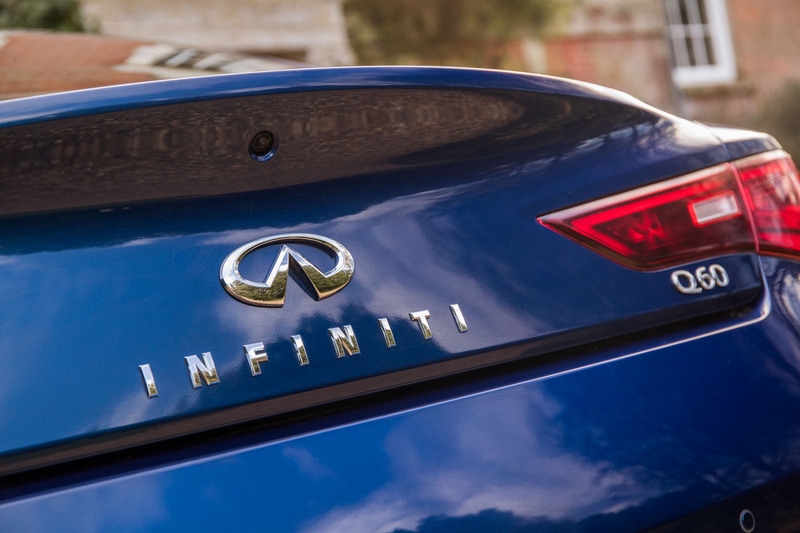 It’s clear that we need to dial back our aggressiveness behind the wheel and play to the Infiniti’s strengths as a comfortable tourer, perfect for our laid-back jaunt from eatery to eatery. For our final refuelling stop though, we have shut the guidebook and done our own gastronomic detective work, hunting out an up-and-coming venue that we feel should find its way into the 2018 edition of the venerable culinary compendium. 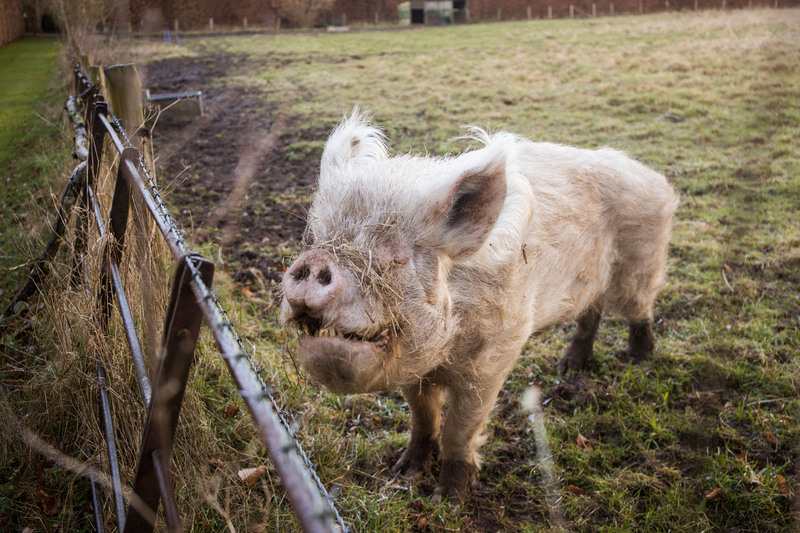 With its plethora of wide-open spaces, you’d think that it would be hard to hide away in rural Dorset. However, tucked away behind regal hedges and a red brick boundary wall sits one of Cranborne Chase’s best kept secrets: 10 Castle Street. Turning from the B3081’s course in Cranborne village, our dinner destination only comes into view once we’ve rolled half way up the gravel drive. 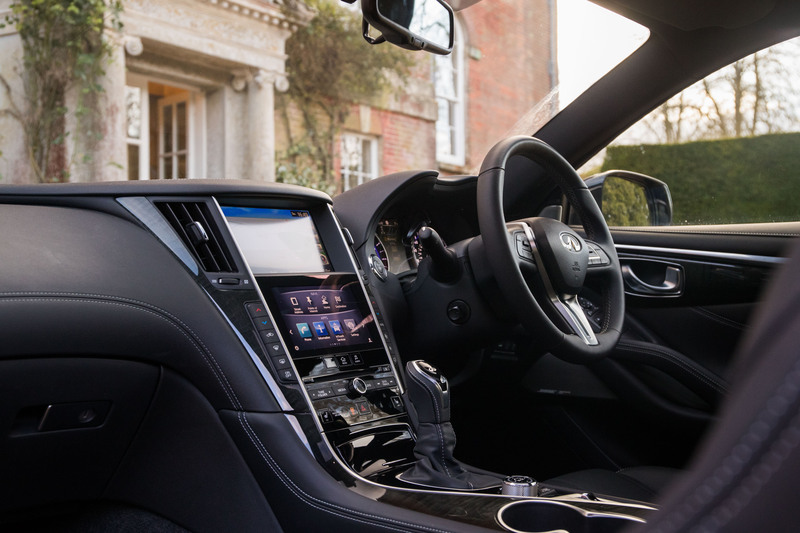 The Infiniti’s windscreen is now filled – from A-pillar to A-pillar – with the frontage of the 18th Century ‘Queen Anne’ country manor. 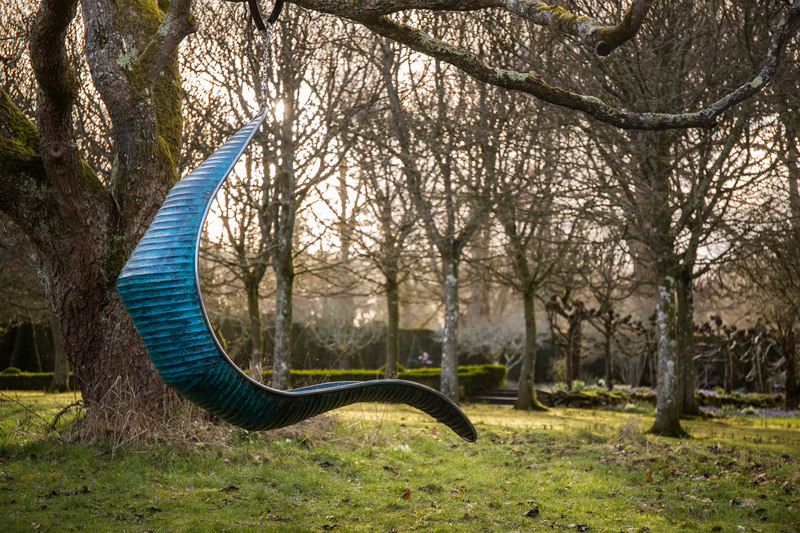 Pulling up into the courtyard, watched over by ‘Sylph’ an intricate bronze sculpture by British artist, Simon Gudgeon, it really does feel like you’ve arrived. Greeted warmly by proprietors, Alex and Gretchen Boon, we quickly give the Q60 a spruce in readiness for a few photos. 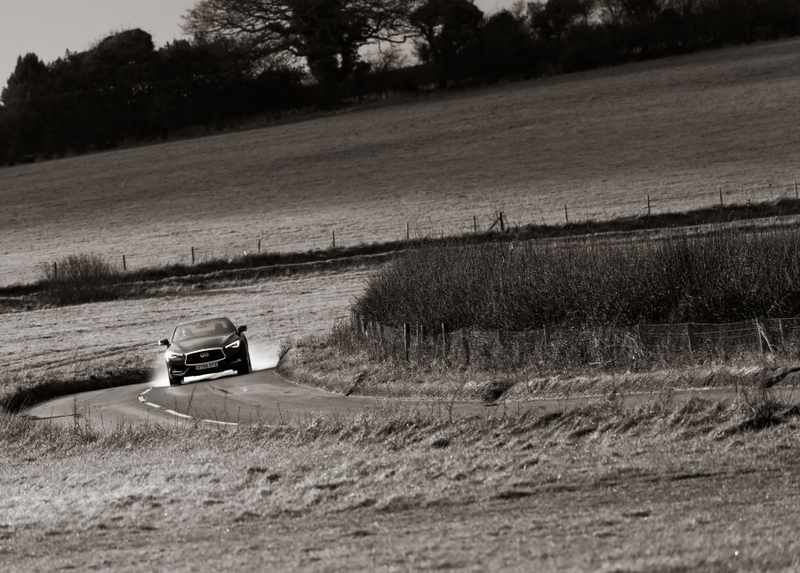 As Jonny works his magic with the remnants of the day’s light, Alex compliments the Infiniti’s styling. 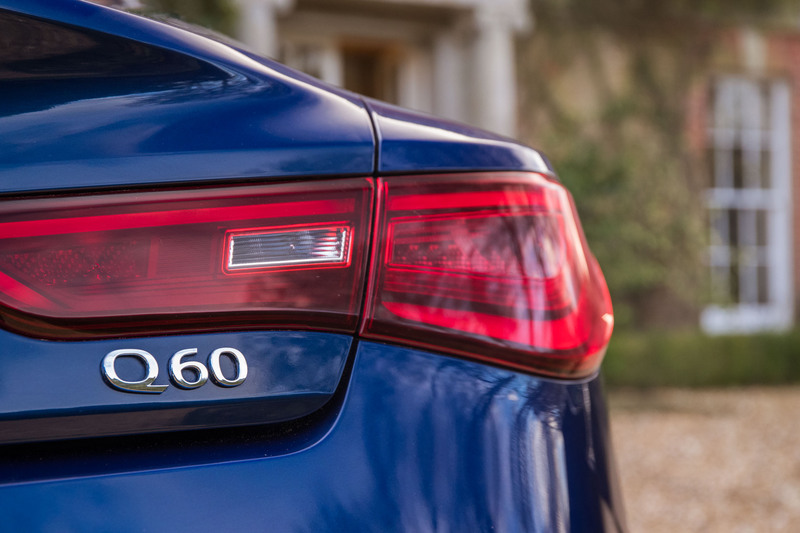 It certainly doesn’t look out of place in such surroundings and, from the rear three-quarter, the swage lines over the Q60’s hips create a genuinely pleasing aesthetic. 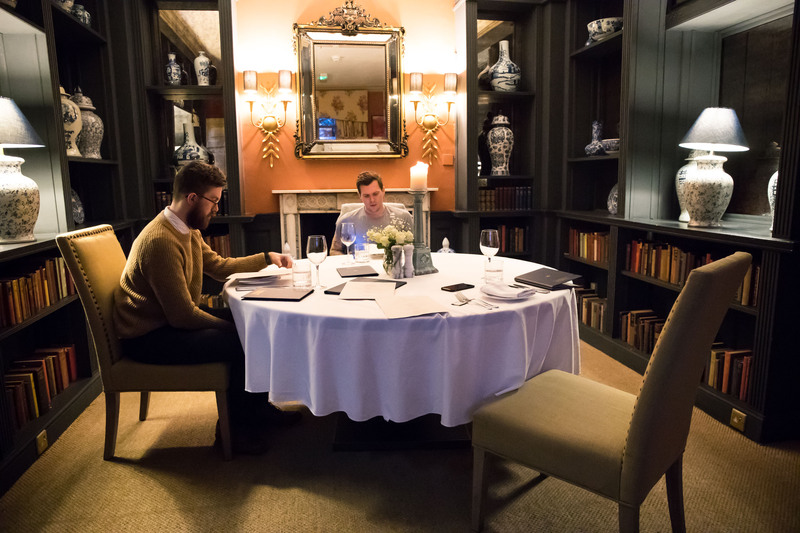 After an extensive renovation of the former Cranborne Lodge, the Boons launched the luxury hideaway just over a year ago with the intention of creating a bucolic members’ club. Indeed, in those early days, there were no signs in the village proclaiming the bolthole’s existence. 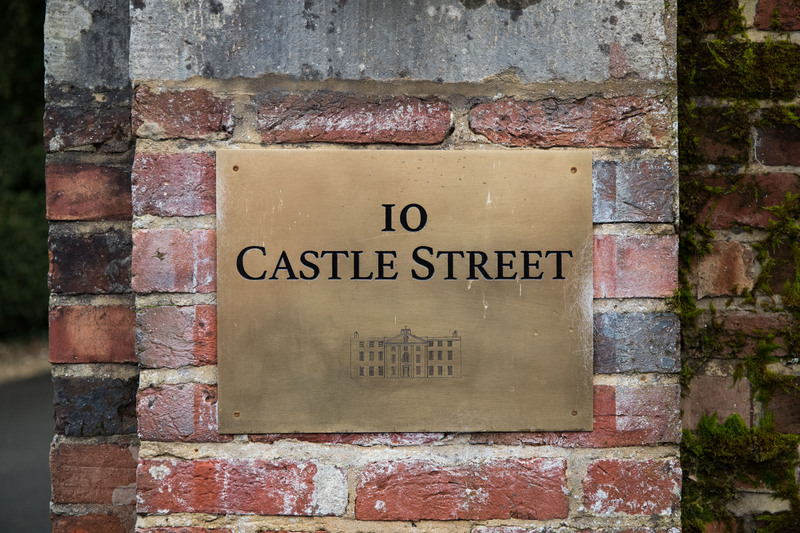 To know where to find 10 Castle Street, you had to know about 10 Castle Street. “We eventually had to put some signs up as even a few of our members kept driving passed and missing the entrance,” laughs Gretchen. Inside, the carefully curated period decor (in tandem with a stunning collection of art from both locally and internationally-renowned artists and sculptures) helps to imbibe 10 Castle Street with a cosy, almost familial atmosphere. It wouldn’t be hard to call the house and surrounding grounds “home” for a lavish weekend break. Rather than pack the place out with guests, Gretchen explains that they took the decision to limit the number of rooms to just nine, each one providing a spacious suite with views out over the rear gardens and only available to members (annual packages start from as little as £550). 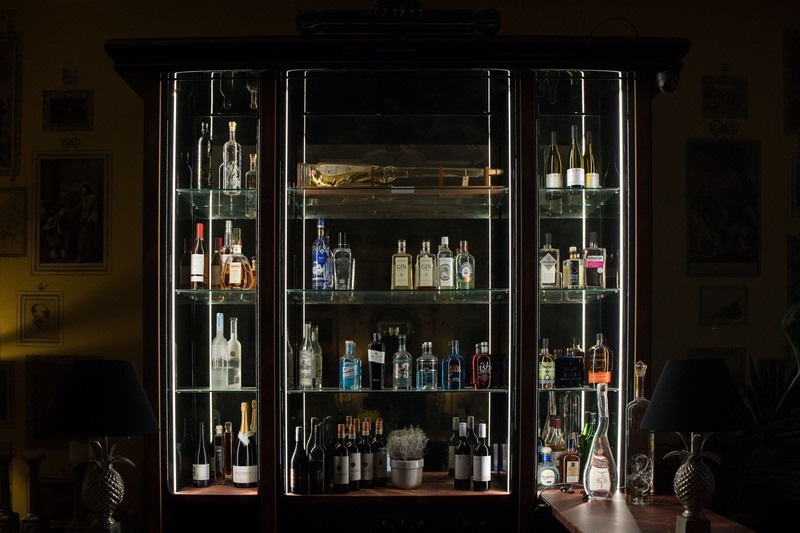 On top of boarding privileges, membership also provides access to the house’s first floor, where you’ll find your own drawing and dining rooms, as well as a members’ bar, stocked to the hilt with exotic spirits and wines sourced by Alex Boon himself. Luckily, you don’t have to be a fully-fledged member to enjoy the 10 Castle Street experience. 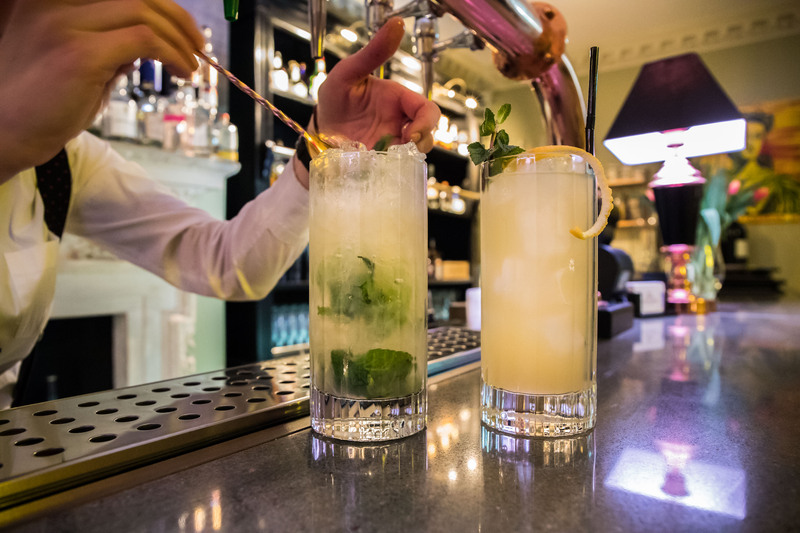 The ground floor is open to the public almost all year round, allowing you to pop in for a quick drink, afternoon tea or, as we have chosen, an expertly crafted three-course meal. 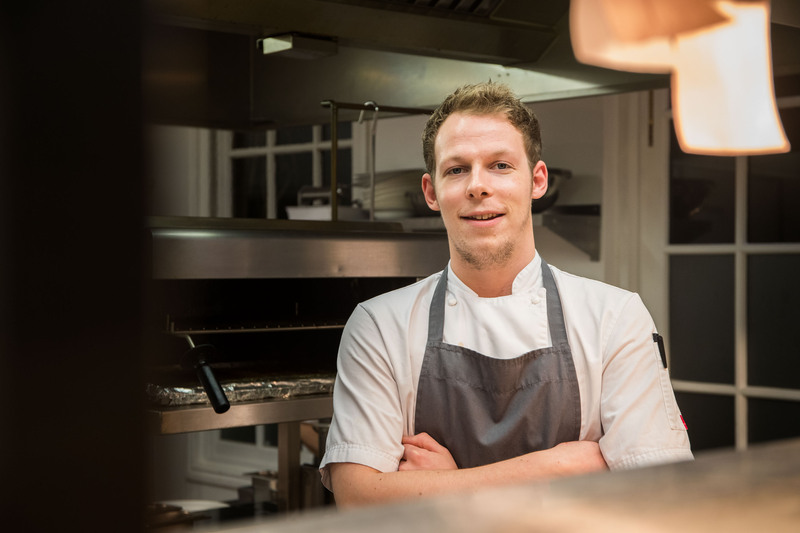 Having joined the team at the East Dorset manor just over six months ago, Head Chef, Alex Fulluck is – at just 26 years old – one of the up and coming stars of the burgeoning South West culinary scene. 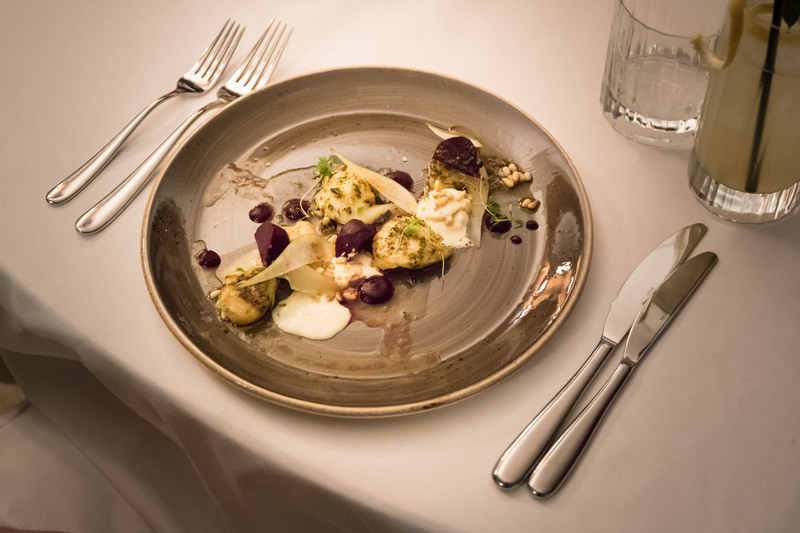 café de Paris, baby beetroot, smoked mascarpone, pear and pinenut) and the veal loin (partnered with aubergine, braised black cabbage, dandelion and rosemary pesto) are particular standouts. The experience is only heightened by the luxurious environs – we’re seated in an intimate snug situated just off the main dining area. 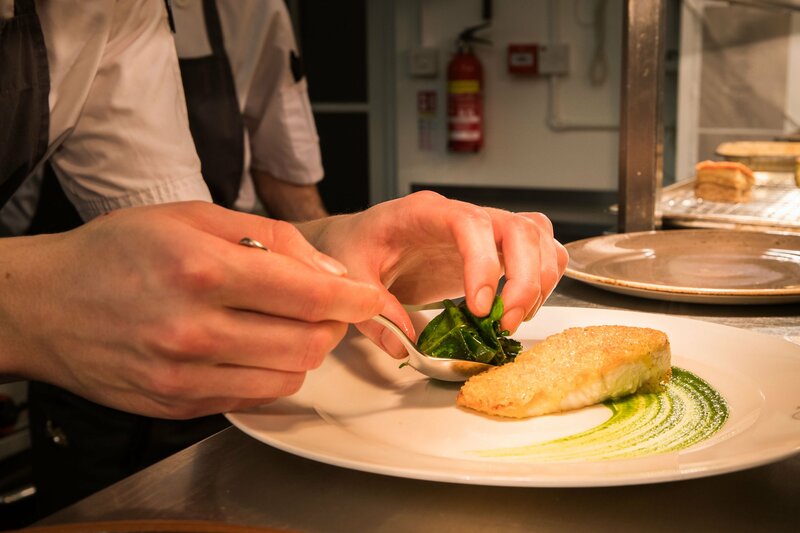 As dinners go, they don’t get much better; we’d be surprised if the Michelin Guide didn’t come calling before 2017 is out.